Last week, counties in southern Florida declared a state of emergency after being overtaken by a thick layer of green algae resembling “chunky guacamole.” Millions of dollars are thought to have been lost over the holiday weekend, and toxins released from dying algae could continue to poison locals for months. Lake Okeechobee is the site of the bloom, where four surrounding counties have been overrun with the blue-green stuff since May, reports The Verge. Governor Rick Scott announced a state of emergency for Martin and St. Lucie counties, due to the rising levels of toxins in the waterways. 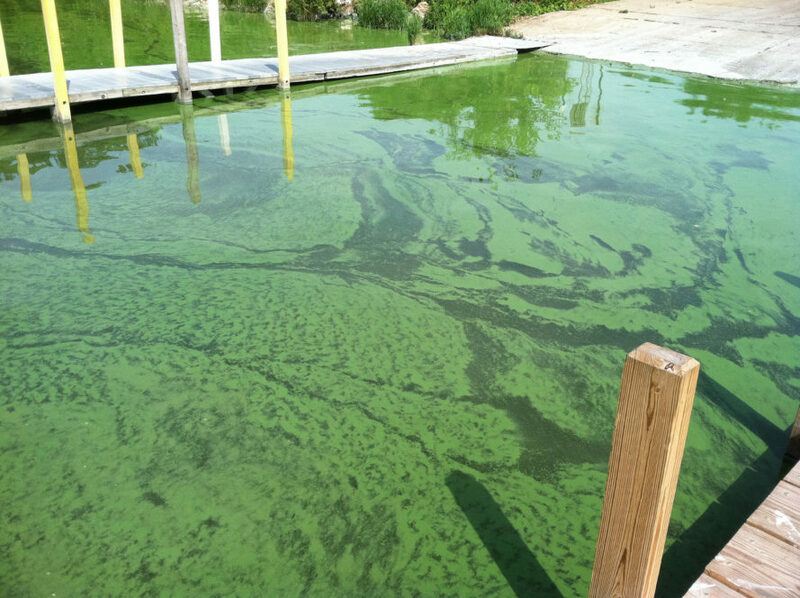 When the algae dies it releases microcystin – a toxin that can cause headaches, vomiting, diarrhea, coughing, and pneumonia through acute exposure. The federal Army Corps of Engineers are in charge of managing the lake, which has proven quite a challenge. Higher than average rainfall has made it difficult to control the Herbert Hoover Dike, forcing the Corps to discharge excess water into surrounding estuaries. The runoff created a perfect environment for algae growth to explode. Only recently has the Corps slowed the release of excess waters, out of fear of putting undue stress on the dam. According to The Washington Post, Governor Scott is blaming the bloom on a lack of federal funding for dam repairs. Several local beaches have been closed to the public, creating a major loss in revenue over the holiday weekend and beyond. Time will uncover just how severe the economic damages have been, as well as the health issues for local residents. Thick algae blooms have taken over South Florida, causing a state of emergency. Much like Lake Erie's blooms a few years back, Lake Okeechobee's blooms are shocking.